Posted May 4, 2018 by Sabine & filed under Acupuncture, Anxiety, Colds and Flu, Diet, Insomnia, Stress, Tiredness. In a society where the ‘work hard, play hard’ mentality is put on a pedestal, where long hours are the norm, burnout has become an epidemic. Burnout tends to affect more women than men, probably due to the numerous plates we are supposed to keep up in the air. Our roles as a mother, a wife, a worker, a daughter, a friend etc…. are putting constant demands on us. But most of us know what it feels to run on empty, whilst not giving ourselves the time to refuel and recover. Add to that the pace of our life, increasingly higher expectations and job insecurity, a big portion of us feels they are constantly under stress. So it’s easy to see how we can end up feeling overwhelmed and burnt out. Exhaustion: Feeling emotionally exhausted, depleted, and a loss of energy. Cynicism: Having a negative attitude toward clients and those you work with, feeling irritable, and withdrawing from people and activities you once enjoyed. Inefficacy: Experiencing diminished personal accomplishment, a perceived decline in competence or productivity, and expending energy at work without seeing any results. 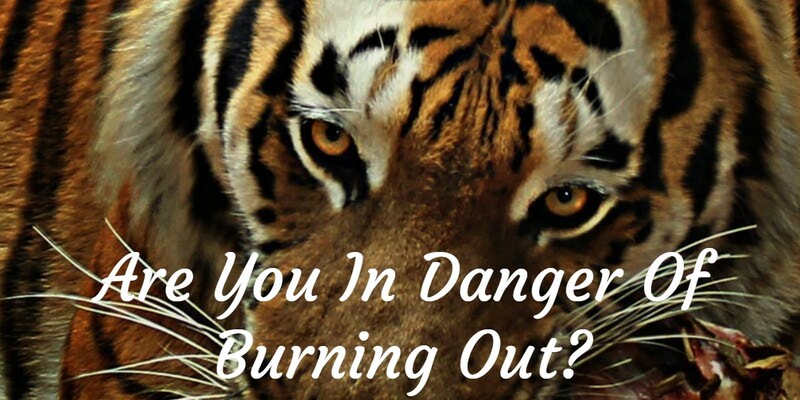 Research discovered that men and women process these burnout dimensions differently. Women typically experienced exhaustion first, followed by cynicism, then inefficacy. The men, on the other hand, tended to experience cynicism first and then exhaustion. 1- Chronic fatigue, from being tired every day to full on exhaustion where you just can’t face the day ahead. 4- Physical symptoms such as chest pain, heart palpitations, shortness of breath, gastrointestinal pain, dizziness, fainting or headaches (all of which should be medically assessed). In Chinese medicine, burnout is what we call a mixed syndrome, one side made of excess (in this case excess stress) and the other of deficiency (tiredness/exhaustion coming from basically doing too much without appropriate rest). These two sides can feed each other. Stress has an impact on the body, including the digestive system. The more stressed we are, the more impact it has, weakening the digestive system and therefore making us weaker and more tired. But also, as we are getting more tired, we tend to get stressed more easily, react more quickly. I’m sure most of us have experienced being very short tempered (or feeling low) after a long day (or week!) at work. I often describe the way the body deals with energy as having two bank accounts. One is a current account that is filling up thanks to a good night of sleep and the appropriate food we are eating. The other is a saving account of energy. As we are going through our day, we are using the energy from our current account. If one day, we are doing too much (aka we need more energy than what is available in our current account), we can go withdraw some energy from our saving account to carry on with our day without too much impact. If we carry on like this for a while, our saving account is likely to get really low and that’s when we start experiencing so many of the symptoms associated with tiredness/exhaustion, the lack of appetite, anxiety, some type of insomnia, lack of concentration etc…. that are so present when people are burnout. To be able to feel well again, we need to replenish our saving account. And this happens when we have a little bit of energy leftover at the end of the day in our current account and we can ‘transfer’ it to our saving account at night. - Balance our stress so it affects us as little as possible. As the saying goes, ‘You are what You eat’. To be able to feel well and recover that energy, we need to put the right sort of fuel in our bodies. This means drinking enough water and eating a balanced diet. It also means avoiding foods that are creating spikes in your blood sugar level. These are what we call ‘sweet foods’ in Chinese medicine and too much sweetness is weakening the digestive system (Remember the digestive system is where we get the energy from our food. A weaken digestive system means we wont be as efficient to get that energy across). Avoiding sweets, biscuits, white pasta and bread etc… will allow you to recover your energy more quickly by strengthening the digestive system. Look at how much sleep you are getting. For a week or so, listen to your body and go to bed when you are ready (rather than when the film finishes or when you think it’s’ the ‘right’ time to go to bed). Watch when you are then waking up, if you wake up on your own or because of your alarm, how you are feeling in the morning. It will quickly become clear that you need a certain number of hours to feel well. For some of us, this will be 7 hours, for others it will be 8 or 9.5 hours or maybe 6 hours. Everyone is different. And then make sure you go to bed early enough to get those hours of sleep every night. 3- Remember the saying ‘you can’t pour water from an empty glass’? Well this is the time to fill your glass again. First of all, decide what activities are nourishing for you. For some people, it will be meeting up with friends, for others going out in the countryside and for others again, this will be having some quiet time on your own or listening to music. Listen to yourself and see what is making you feel happy and well. Then commit to do one of those activity at least once in the week. Get some ‘ME time’ focusing on feeling well again. 4- Learn to say NO. Sometimes there are so many demands on our time that we can’t possibly do it all. If we don’t want to have to constantly dig into our saving account (or even better if we want to fill it again), we need to make a choice and decide what is and isn’t really essential in light of the amount of energy we actually have (rather than the energy we are ‘supposed to have’). When another mum at school is asking us to bake some cakes for the school fete, can we do it? Do we have enough energy or are we going to dip into our savings? Is it essential or can we actually say ‘I’m sorry but not this time’? 5- Plan some activities to lower your stress levels. It is best to spend a little bit of time, 10~15 mins every day doing something that will help you relax. Have a look here at ideas of things you can do. What is helping you when you are starting to feel overwhelmed and burnt out? Do you have strategies in place and are they working for you? We are offering a free 15 minutes consultation to learn more about how acupuncture can help you on your journey to a health . Simply give us a call on 01642 794063 to schedule an appointment. Get free proven ideas and strategies in your inbox.